Alphabet’s growth investment fund, CapitalG, is leading a $1 billion financing round in ride-share operator Lyft, a key rival to the dominant Uber. CapitalG partner David Lawee will join Lyft’s board of directors, while Lyft’s post-money valuation now tops $11 billion. Lyft completed its 500 millionth ride this month, and expansion has been rapid, to say the least. At the beginning of the year, Lyft was servicing around 54% of the population in the United States. That figure has now shot up to 95%, according to an article on the company’s blog. The potential is still massive in this space. Lyft says that only 0.5% of the total miles driven in the country happen with car-share services. 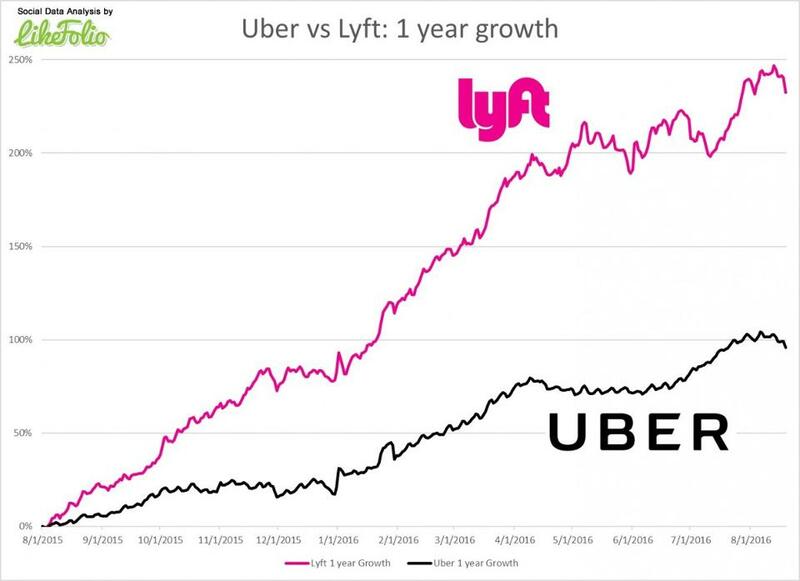 That’s leaves massive untapped potential on the table, and Lyft is leaving no stone unturned. Recent partnerships have helped the company boost its upside, among which are a recent agreement with the City of Phoenix to provide discounts for those using a combination of Lyft and public transit systems. The initiative, dubbed the First Mile Last Mile campaign, aims to provide seamless transportation for those who live too far from transit stops to walk or bike to their daily transit commute. Lyft has also teamed up with the Budweiser brand on a campaign called “Give a Damn, Don’t Drive Drunk,” which has targeted providing 150,000 round-trip rides through the end of the year that offer two $10 one-way credits for those over the age of 21. On forward technologies, Lyft has paired up with General Motors to test autonomous vehicle technology. GM is investing $500 million in Lyft towards a program called Express Drive. The 500 test cars deployed in Chicago aren’t self-driving yet, but the company is extending the deal to Boston, Washington D.C. and Baltimore in an attempt to lay the foundation of future self-driving fleets for Lyft. For now, it merely helps the ride-share operator extend its network and its growing fleet of cars, not to mention providing cars to thousands of applicants that want to be Lyft drivers but don’t have suitable cars for the purpose. Chicago alone has 60,000 applicants, said Lyft co-founder John Zimmer. Lyft is also working with Ford on autonomous vehicle technology, and will have engineers from both companies working on software integration between future autonomous cars and the Lyft smartphone app. There are plenty of initiatives in the pipeline, and the recent round of financing provides even more muscle for Lyft to aggressively step up its game against Uber, which still dominates the market with 74.3% despite a torrent of bad news hitting the company, resulting in the ouster of founder and CEO Travis Kalanick from his position. 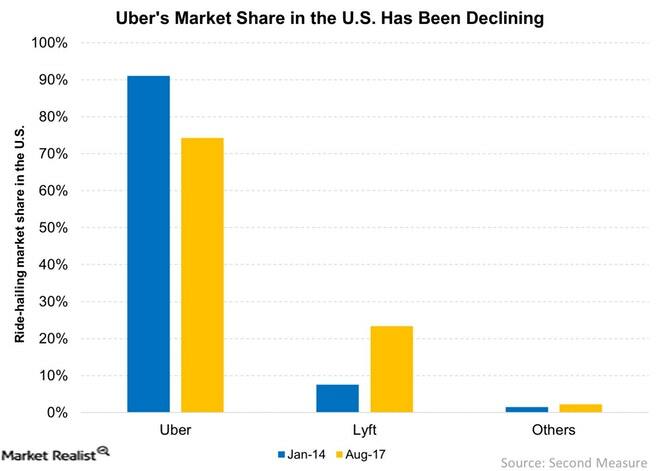 However, while Uber has lost significant market share, Lyft appears to have picked up the slack, growing its market share from under 10% in 2014 to over 23% as of August 2017. Uber Just ‘Did a China’ with the Russia Exit, Is It IPO Time Yet?